It’s phenomenal resistance to adverse external influences and superior versatility make this rope a compelling choice as boom hoist rope on offshore cranes. 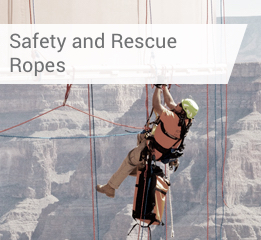 Operational safety and reliability are indispensable characteristics for ropes used in offshore applications, as they are permanently exposed to brutally harsh conditions. EVOLUTION QS816V is also extremely versatile, robust, and durable. This is made possible by the special rope construction which includes a core-protecting PLASTFILL® insert.